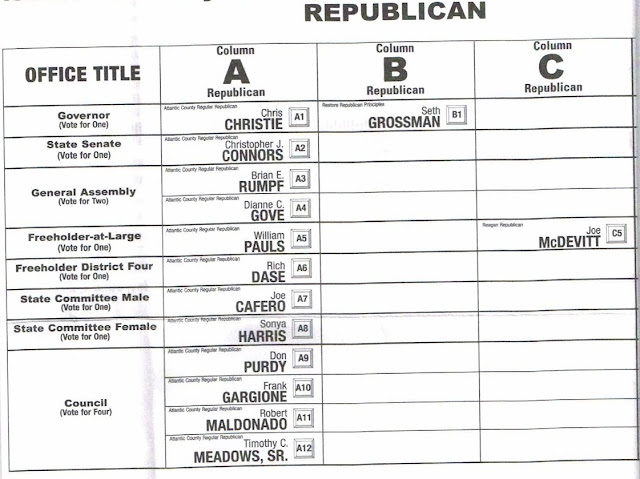 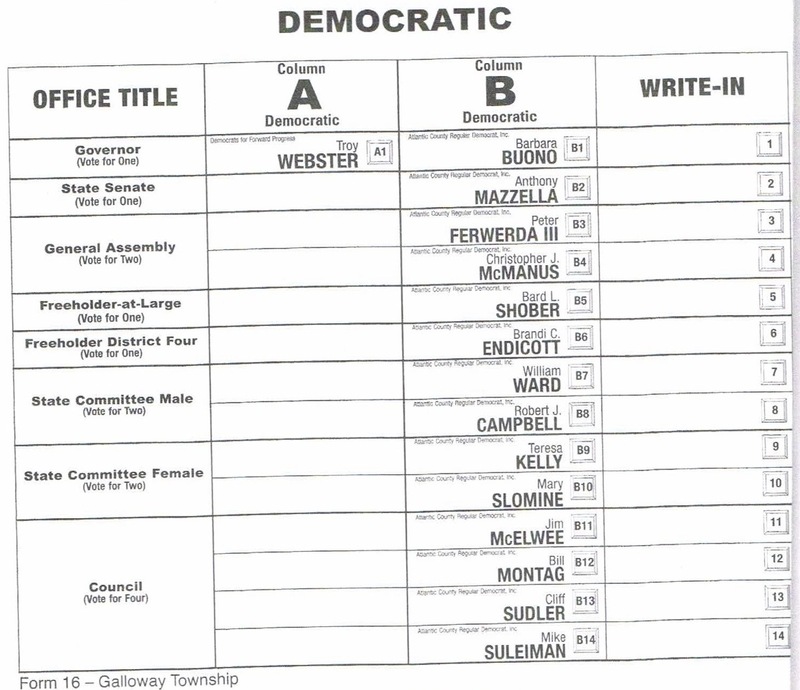 GallowayTwpNews.com has released a copy of the Democratic and Republican Sample Ballots for Primary Election on Tuesday, June 4, 2013 for Galloway Township. 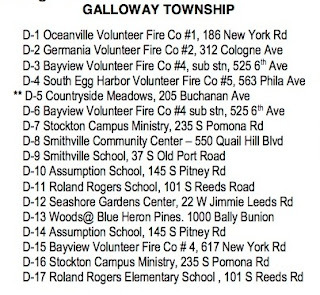 Released is also a list of all Polling Locations locating in Galloway Township. 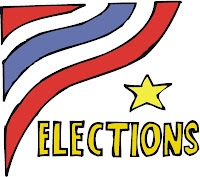 Take notice for voters located in District 5, your polling location has changed from Pomona Vol. 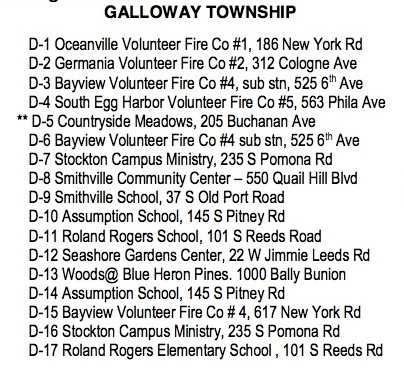 Fire Co. to Countryside Meadows. 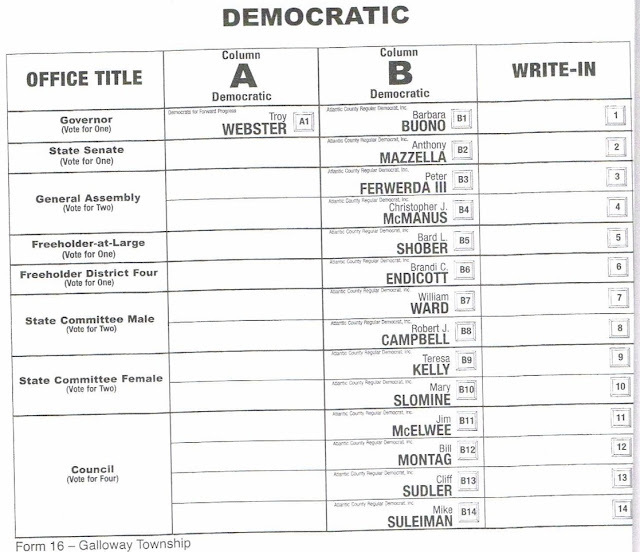 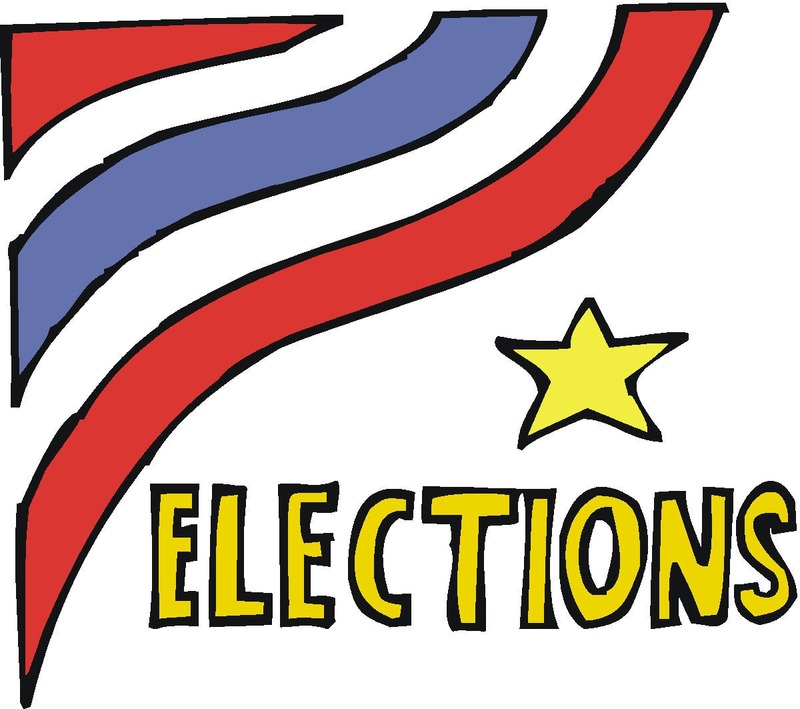 Also due on Primary Election day are the Independent Candidate Petitions for Galloway Township Council. Those petitions are due to be turned in by 4:00 pm at the Atlantic County Clerks Office in Mays Landing.